As the year has started. there is lot of movement in the Indian automotive industry. 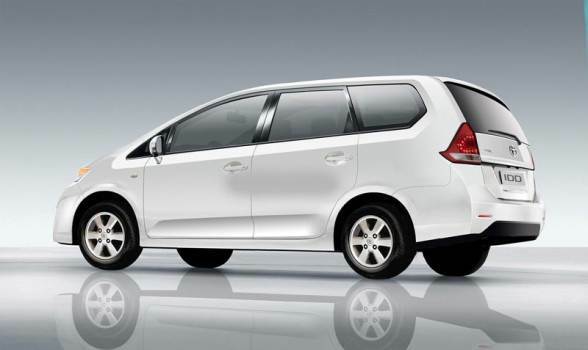 The most preferred “Family Car” – Toyota Innova has released an updated version of its car. Toyota Kirloskar motors today revealed that the highly successful Toyota Innova MPV has been upgraded for the year 2015 and it is ready for sale. New features of Innova include – updated front grille, new alloy wheels with added rare and side garnishes. Wooden finished Steering wheels with a top notch quality leather seats, a new infotainment system with touch screen and bluetooth connectivity distinguishes itself from its earlier version. To enhance the safety of commuter the new Innova is equipped with airbags and ABS in all its variants. During the launch of new Innova 2015, Mr Raja, Director and Senior President of Toyota Kirloskar Motors said ” It is a historic moment for us, as the Toyota Innova completes 10 years being most successful car through out the decade”. Thanking to Toyota’s Loyal customers said that the Standardized front SRS airbags across all its models and grades indicates the customer Safety is first priority for the company.